Starboard Value. The Game Changing Activist Investor That Doesn’t Take No For An Answer. 1. Starboard Value. The Game Changing Activist Investor That Doesn’t Take No For An Answer. New York based activist investor firm Starboard Value has been intricately involved in shaping the fortunes and futures of two high profile technology companies in recent years, Marvell and Mellanox. The firm first to prominence some five years ago when they were the first among their peers to accomplish the extraordinary feat of replacing the CEO and entire board of Fortune 500 restaurant group Darden, while holding less than 10% of the company’s shares. In the wake of their Darden coup, the firm has gone from strength to strength. To date the firm has taken positions in a total of 105 publicly listed companies, replacing or adding some 211 directors on over 60 corporate boards. On March 7’th 2019, Starboard Value announced the acquisition of a 4% stake in US comms infrastructure firm Zayo. 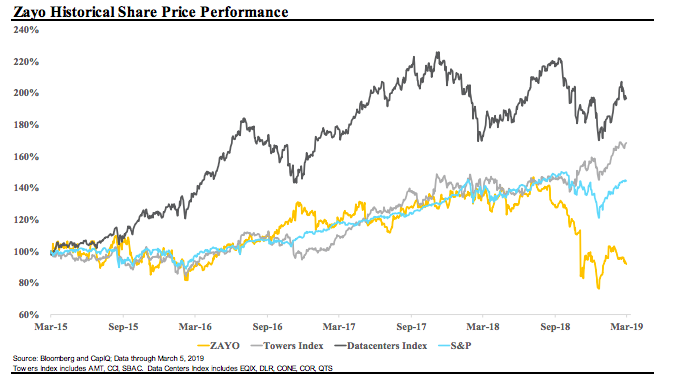 In the intervening period, Zayo’s share price has risen by 14% as canny investors scramble to partake in the goodness that will surely be extracted by the activist firm that simply doesn’t take no for an answer.